Beachfront at WEST BEACH.......Reduced rates on offer!! Property 10: Beachfront at WEST BEACH.......Reduced rates on offer!! Light, bright apartment 2 minutes from beach. Property 13: Light, bright apartment 2 minutes from beach. Property 15: Salty Sand & Pepper !!! 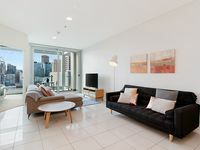 Property 23: Stylish and comfortable, views over Gouger St! ACAILL ACCOMMODATION - Esplanade Living! Property 42: ACAILL ACCOMMODATION - Esplanade Living! VIBRANT West Beach Apartment........Special Rates on OFFER!! Property 43: VIBRANT West Beach Apartment........Special Rates on OFFER!! Property 48: "Beachside at the Bay"